Which Audi SUV Is Right For You? If you're in the market for a new Audi SUV that will bring the perfect balance of style, sophistication and performance to your daily drives, turn to our Audi dealership near Orlando, FL. 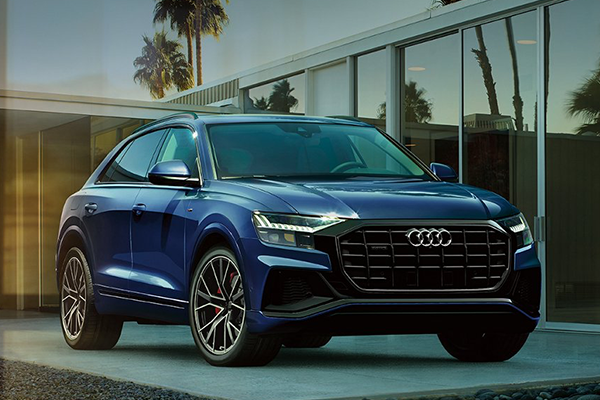 Whether you've been eyeing the sleek 2019 Audi Q3 or you're interested in the spacious Audi Q8, you'll find what you're looking for at Audi North Orlando. Compare the 2019 Audi SUV lineup to determine if the Q7, Q5 or another Audi SUV fits your lifestyle best. It doesn't matter if you buy the 2019 Audi Q3 Premium or lease the 2019 Q3 Premium Plus; you'll be getting the keys to an incredible new Audi SUV. Equipped with a 200-horsepower engine that can return up to 28 highway mpg, the new Audi Q3 is your ideal partner for journeys far and wide. 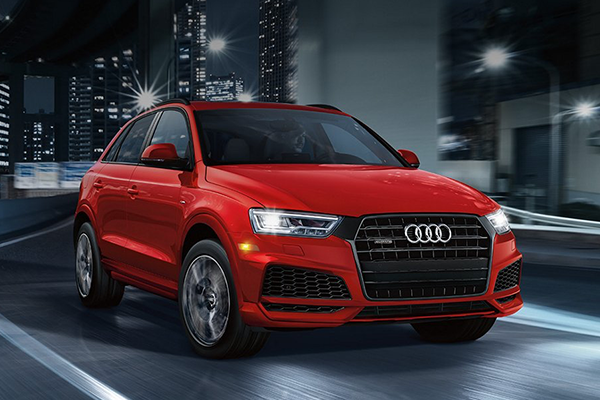 And with standard and available 2019 Audi Q3 interior features such as 12-way power front seats and up to 48.2 cubic feet of storage space with the rear seats folded, you'll enjoy your time on the road day after day. The team at our FL Audi dealer is here to tell you all about the 2019 Q3 colors, specs and price. 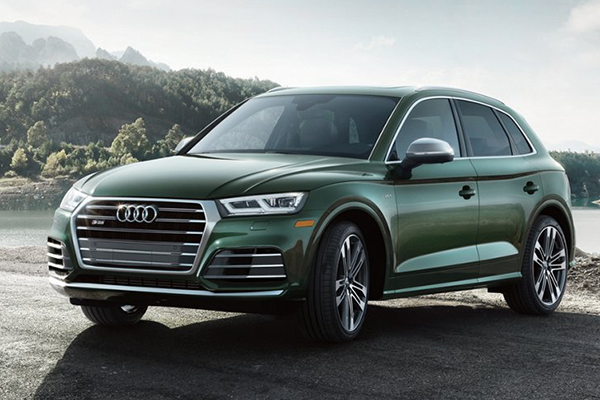 No matter where you're heading, the 2019 Audi Q5 will provide you with the reliable performance and cutting-edge safety features you seek. Standard Audi pre sense® basic and Audi pre sense® city come standard, so you can take on your daily drives with peace of mind. Want even more advanced Audi safety technologies? Opt for the 2019 Q5 Prestige trim to gain an Audi park steering assist system that will make maneuvering into and out of parking spots easier than ever before. Ask the team at our Greater Orlando Audi dealer about Q5 lease specials! Get behind the wheel of a 2019 Audi SQ5 SUV and discover the difference an Audi makes. The available Audi virtual cockpit with a 12.3-inch instrument display makes it easy to access phone calls, navigation and other infotainment features. Standard quattro® all-wheel drive and a turbocharged engine will propel you across Florida with seamless performance, while optional safety technologies such as Audi adaptive cruise control with Traffic Jam assist and active lane assist will protect you and your passengers around every turn. Explore the 2019 Audi SQ5 trims at Audi North Orlando! 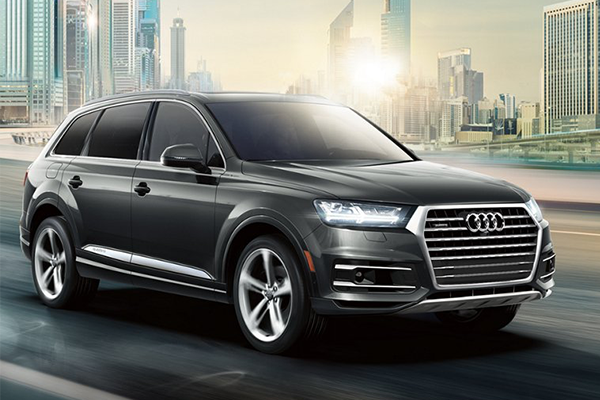 Cruise through South Orlando with the power you deserve when you buy or lease a 2019 Audi Q7. Its available TFSI® supercharged engine will provide you with 329 horsepower, ensuring you get from point A to point B with ease. And with the legendary quattro® all-wheel drive system at your disposal, you'll be ready for anything Florida's roads throw your way. Don't hesitate to discuss the 2019 Q7 price and lease offers with our Audi finance team. Between the expansive 2019 Audi Q8 dimensions and this SUV's impressive technologies, you'll enjoy your journeys across Florida like never before. The new Audi Q8 interior offers optional luxuries including Valcona leather seating, dual-pained acoustic glass and a 17-speaker Bang & Olufsen® 3D Premium Sound System. Want to check out even more of the 2019 Q8 specs? Stop by our Audi dealer! 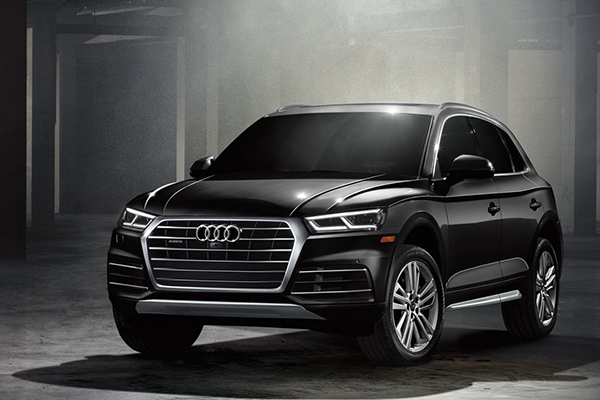 Visit Audi North Orlando to explore the entire 2019 Audi SUV lineup. We'll help you get the keys to your dream Audi, whether you're coming from Sanford, South Orlando or beyond.